This website and memorial are dedicated to the hundreds of thousands of men and women who served in, or alongside, the Combined Operations Command in WW2. There are two distinct income and expenditure streams - one for the website and one for the memorial. The website is "not for profit" funded mainly from membership fees. It is free to use, carries no adverts, pop-ups or cookies and has no formal connection with any military or government department. Surplus funds are used in support of forces' charities and the Memorial Fund. All income and outgoings in support of the website since November 2000, are recorded on our website accounts page. The memorial stream has two strands. 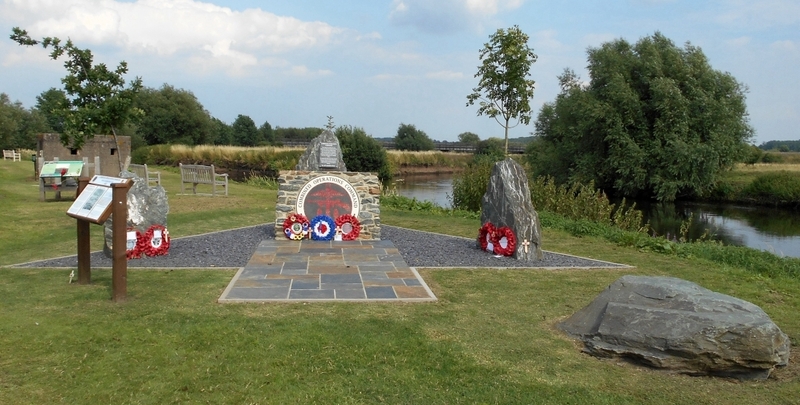 The original Memorial Fund was set up in 2006 to raise funds for the construction of a permanent memorial. Although the dedication ceremony was held in July 2013, it was not until January 2017 that the final bills were paid when a single donation of £2,000 topped off the fund at a magnificent £21,128! That fund was then closed and its small surplus became the initial deposit of a new Memorial Maintenance and Development Fund where income and expenditure are accounted for. My signature and one other are required to authorise expenditure. 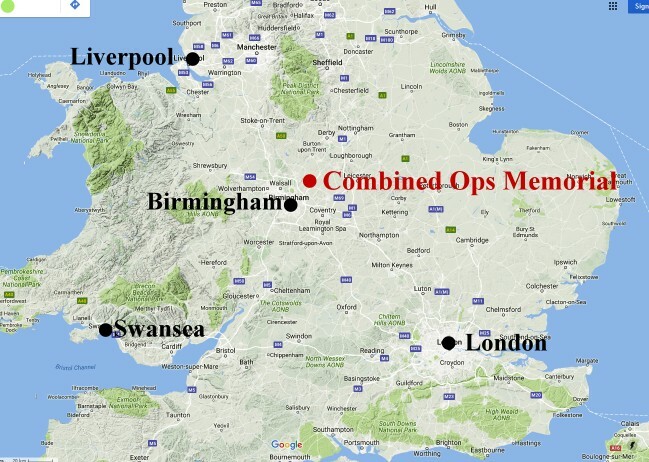 The Combined Operations Command is the unintended victim of its own unique structure and oganisation. Its personnel were recruited from the Army, Navy and Air Force and when the war ended, the vast majority of them returned to their original units! At the memorial dedication ceremony on the 4th of July 2013, General Barrons alluded to this when he said "After the end of the war, the skills and lessons faded quickly with little imperative and nobody to champion them. For some, the increasing importance of air power made these capabilities seem less relevant, and they were quite wrong." This sentiment is slowly finding favour in the public consciousness, but there's still much to do before the work of the Combined Operations Command, and everyone who served in, or alongside it, receive the recognition they really deserve. The enormity and diversity of their contribution to the war effort, is second to none. In the mid 1990s, I discovered that my father in law, John Glen, had worked on wartime radar installations in the RAF and in the Combined Operations Command. After decades of silence, his fascinating wartime story unfolded in the second half of the 1990s and along the way, it captured my interest. After his work on newly established coastal radar stations in the early 1940s, John was attached to the Combined Operations Command and reported to John Brown's shipyard on the Clyde. There, he joined a recently arrived US vessel undergoing conversion from a Landing Ship Tank (USS LST 217) to a Fighter Direction Tender (FDT 217), together with FDT 216 and FDT 13. John served on FDT 217 in charge of a small team of Royal Canadian Air Force (RCAF) volunteer radar technicians. They maintained and operated radar equipment on board 217, most memorably off the Normandy beaches for 3 critical weeks in June 1944. When land based mobile radar units took over the role as they moved forward through Normandy and beyond with the advancing allied forces, the job of the FDTs was done. 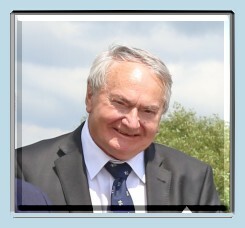 John was mentioned in dispatches, although he was reluctant to take personal credit for the excellent performance of his team. I read Bernard Fergusson's excellent book "The Watery Maze", only to the realise that the Combined Operations Command was vastly greater in size, scope and influence, than I had first thought. Since there was no information on the Internet, and with the naive confidence of a novice, I set about writing a few web pages. Work on the website started in November 2000 with the purchase of the www.combinedops.com domain name for £40.65 per annum. The following March, web hosting services were purchased for £57.58 per annum - incredibly expensive by today's standards. For the first 4 or 5 years, the website ran a deficit but, as it became firmly established, and with improving finances, the Combined Operations Command memorial fund was set up. It was an act of blind faith, if not folly. There was little money, no design, no site, no bank account and no local support in the form of a committee. Financial donations, written contributions for the website, fund raising activities, practical help and advice from many hundreds of veterans, their families and friends, sustained the project that would otherwise have faltered in its infancy. It was a privilege for me to be the means by which their wonderful support and encouragement metamorphosed into a memorial, educational website and Facebook page. By a process I've never fully understood and over which I exercised little control, the website grew like 'Topsy.' It now receives hundreds of thousands of visits each year (6,000,000 hits) from around the world and yet the final chapters of the Command's remarkable story, are as elusive as ever! John Glen did not live to see the little acorn he planted grow and develop. He died in November 2000 at the age of 81. He would have been so proud to see two of his great grandchildren lay a wreath at the dedication ceremony on behalf of all who contributed to the memorial fund. 01). Preserve the memory of the achievements and sacrifices of the Combined Operations Command and the thousands of all nationalities who served in or alongside the Command on operations. 02). Improve recognition of the Combined Operations Command and its substantial contribution to the Allied victory in World War II. 03). Set up a charitable trust to look after the long term development and maintenance of the memorial and website. 04). Ensure students' access to information about the Command is maintained. 05). Publish Combined Ops related articles, stories, anecdotes, reminiscences, diary entries, poems and photographs from visitors to the site or from our own resources. 06). Provide notice boards on the website for appeals for information or advice and the means for anyone to respond directly. 07). Provide links to external websites that provide complementary historical information, WW2 records and veterans' welfare. 08). Provide an extensive list of Combined Ops related books and the means of sourcing them including 'out of print' books. 09). Provide memberships to those who wish to support the website's purposes and/or to request advice or information. 10). Raise sufficient funds to maintain and develop the memorial and the website in perpetuity.